www.DickandJanesSportscards.com Item: 646895 -- 2014 Panini Contenders Football Hobby Box - Factory Sealed! 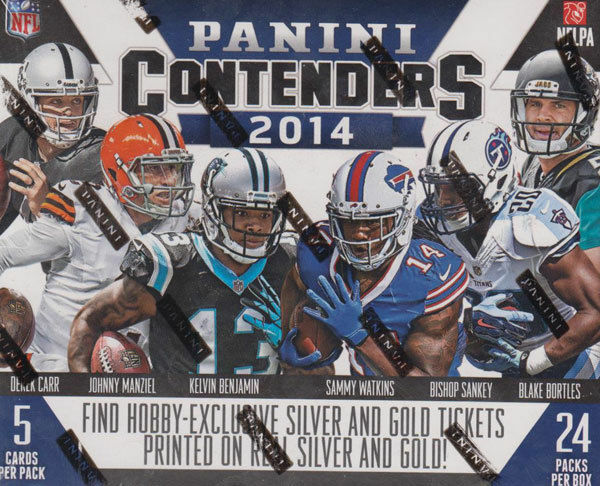 2014 Panini Contenders Football Hobby Box - Factory Sealed! We combine shipping on all orders. We ship out orders 6 days a week and generally most orders do ship within 1 business day. If you have a need to overnight or 2 day FED-EX, please contact us and we can determine the cost of your special requirement. International orders may require additional postage and depending on the cost of the order, we may require Global Express Mail with Signature or FED-EX International Air Mail.